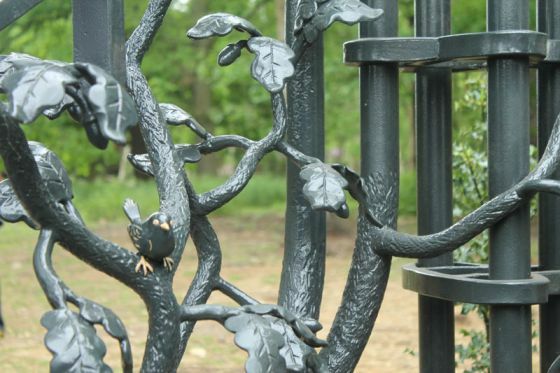 ‘The Way’ gates are designed by artist blacksmith Joshua De Lisle and were added to the park in 2011 to mark the tercentenary of St Paul’s Cathedral. Located on the edge of Sidmouth Woods, you can see the gates through the King Henry's Mound telescope and enjoy the protected 10-mile view to St Paul’s Cathedral. 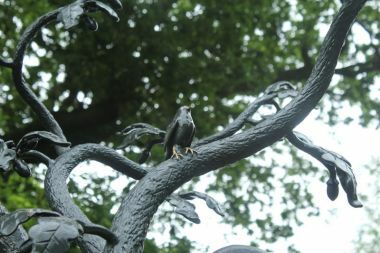 Look out for the concave oak branches which reflect the cathedral’s dome. 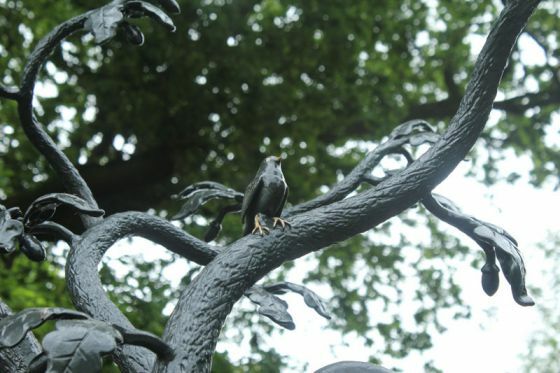 The small wren low down in the leaves is a reference to cathedral architect Sir Christopher Wren. A robin sings from the opposite branch. 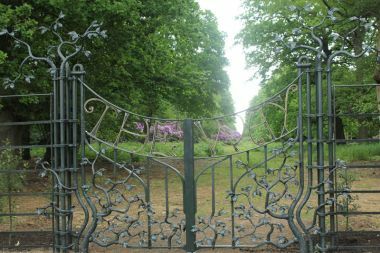 The gates are inscribed with the 'The Way' which is also an epitaph to Edward Goldsmith, author of the book by the same name. 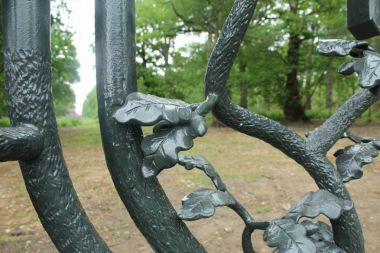 The bark texture has been created to promote algae and lichen growth towards the bottom of the gates to echo the park landscape. The gates were kindly donated by the family of renowned environmentalist and The Ecologist magazine founder, the late Edward Goldsmith.